Can’t decide which one as love the look of them both but can only afford one and wanted it as a stand alone display piece. only ever seen them in the box so no idea what they look like built in person. As a stand-alone, I think the castle has more presence. I think the Ghostbusters HQ is a higher likelihood of retiring sooner for what it's worth. The Castle is a much, much better display piece. Castle. I'm not even going to try and explain my reasoning. If you agree with me after reading the first word, you already know. GBHQ. It is not infested with mice for a start! And ducks and eliteist a-holes! And little flying insect people. GBHQ for me, though I'm partial to city stuff. It's a very personal decision, but I agree on the castle. It's not just an amazing display piece and it's a very fun build as well. The GBHQ is pretty cool though, but looses a lot of volume because the walls are double. i would suggest you attend a lego exhibition. there's a good chance you will see both built and then you can decide which one you prefer. Disney Castle works waaaay better as a standalone display piece. It is immediately recognizable by almost everyone, compared to the GBHQ. It's also quite a bit bigger/taller, so that creates a more impressive presence. Put it on a Lazy Susan so people can see both the front and back when they want to. I once had the same doubt, but eventually went for the castle and I have no regrets. I think I would’ve regretted not getting it if I would’ve gone for the GBHQ. It’s a very pleasing build and looks fantastic from both the front and detailed interior. But if you’re into Harry Potter, I would wait for the reveal of the large Hogwarts Castle and make a decision between the three large sets. In the end you need to go for the thing which interests you the most and you need to think about emotional/nostalgic value! I like both of them, castle is a great display piece, GB HQ has superior interior and lot of detail. I love my GBHQ, it’s a very luxurious, and complete, build. I won't be displaying either, just building for the fun and experience. As a recent purchaser of the GBHQ, I can vouch for the Ecto-1 comment. It’s eating at me that it’s missing. Definitely the Castle. There is such a thing as an AFOD and I am not one, so it is purely a recommendation based on the fun of the build (more variety) and the look of the display. My main issue with GBHQ is the design of the first floor. The Ecto-1 will not fit in the garage if you build following the instructions. I left the front desk out and modded a bit so I can fit the car all the way inside. I would go for the Hogwarts Castle... haha! LOL I was just about to say that! I own both, and I agree that the castle is the better stand alone set. Having said that, the GBHQ IS the better overall set imo. 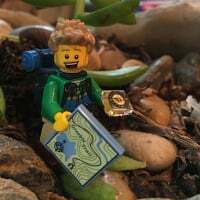 Better minifigs, better interior, fits into a city better, etc. You can't go wrong either way, but I agree you need the Ecto1 to complete the look though. I have one I might be willing to trade btw. I loved building GBHQ. If you are fan of the franchise, is definitely worth it. I bought GBHQ the month it was released, so the Disney castle wasn't out yet. I'm not sure which of the two I would purchase if tasked to do so now. I do love the GBHQ for nostalgia reasons, but it is kind of blah on display. I have the Ecto-1 coming out the front doors, but if so inclined I would move the desk and chairs out to park it inside. Really not a deal breaker IMO. It was a great building experience, like a modular building on steroids. 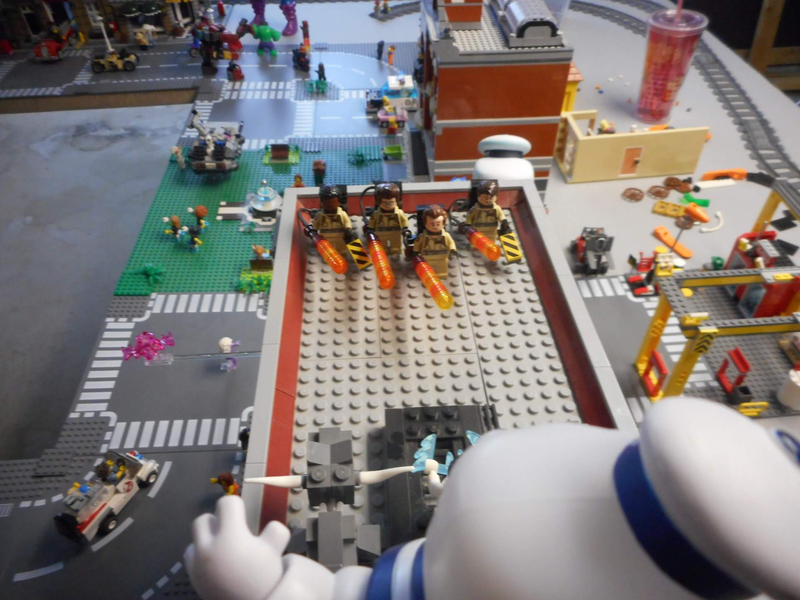 I'd also give GBHQ extra points for the minifigs - both the number, and the coolness of the ghosts. I'm hoping to save enough to buy the Disney castle eventually before it gets discontinued. But if I can't, I'm happy with my GBHQ purchase. I would also add the GBHQ does better fan service than the Disney castle does. They both do fan service, and the castle isn't bad at it, but the GBHQ NAILS it. 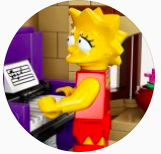 Honestly, one could argue it's the BEST Lego set ever for fan service. Why? The castle or death stars or MF can only sort a "guess" what was in this area or what that area may have looked like. 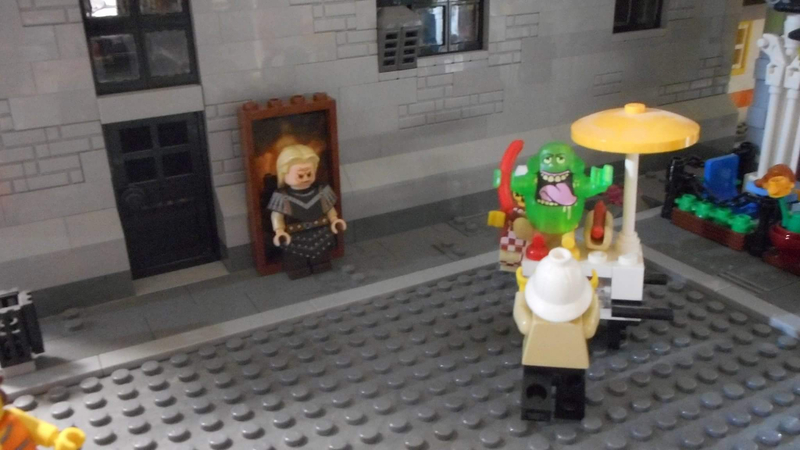 Ghostbusters fans KNOW exactly how the firehouse looks, and what goes where. It's the little things like the photo room from GB2, etc. 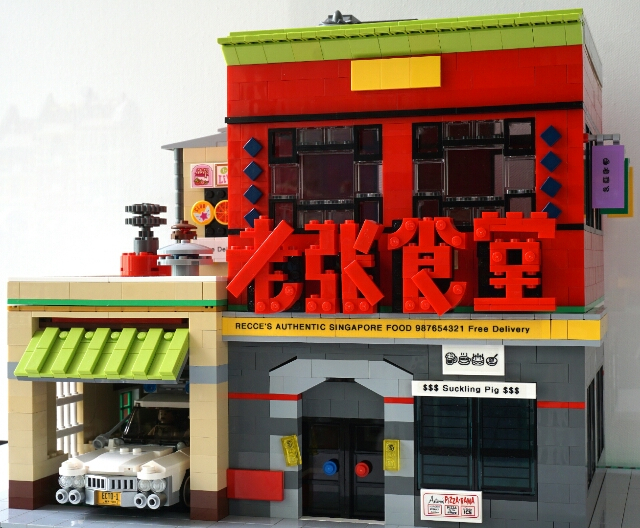 It's THE BEST Ghostbusters firehouse ever made. The only "complaint" a fan could have is that it doesn't have a basement with the containment unit in it. But the fact they DID include one, just put it under the stairs works for me. Both sets are incredible, I think I'd also have to give the nod to the GBHQ though - assuming you have Ecto-1. The purple ghost lady is one of the best minifigs ever and all the other great minifigs help tip the scale. I also love the fact that it's a complete model and not just a facade and a relatively self-contained compact unit. Mine is on display and I had guests over at the weekend so gave it a quick dust. Because it's pretty much a big box in its closed state, its super-easy to dust while all the internal detail is protected from dust. Dusting the Disney castle would be a much more laborious process. I even showed it to a mum of one of my daughter's friends this evening. I never get tired if opening it up and seeing all the detail. I bought both of them when they were released but have only built the GBHQ which may also be a sign of which one I prefer. That said, it could also be due to the fact that it would be a lot harder to find a good spot for the Castle as it's so tall - another point to consider. Plus I seem to remember Smyths has some good deals on the GBHQ. Don't remember ever seeing the Castle anywhere other than a Lego store. Just noticed this thread is 4 months old now, so maybe you have one or both already. This choice reminds me of one of the most excruciatingly delicious decisions I ever had to make as a kid. My dad did a lot of business in the US and while he was away on a trip, he called and asked if I'd like either the remote-controlled sandcrawler or the giant Death Star playset (Both for the 3.5" Kenner figures). Neither of these were ever released in the UK but I'd lusted after them both in magazines. Having to choose between two equally incredible options almost blew my little 8(?) year old mind. Maybe that's part of the reason I never grew out of toys. So, @Brainslugged : So, which one did you go for? Did you ever regret your choice? On topic, I don't have either set but GBHQ is on my wishlist and DC isn't. The subject matter, overall look and attention to detail are what puts it above for me. I'm not a massive fan of what I would call "classic" Disney (put some pants on Donald!) and I am incredibly nostalgic about Ghostbusters (what did you do Ray?). So the Castle has never even made it onto my wants radar. So funds allowing, it would always be GBHQ for me. Although if there's never going to be a Dana's apartment set, we are sorely missing Gozer in it... and the hounds. 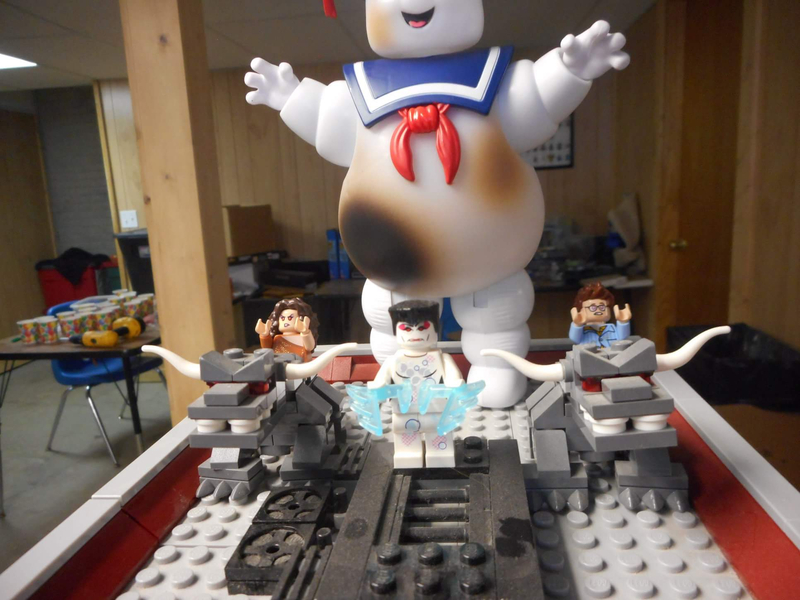 I actually had Minifigs.me do a custom Gozer, because it drove me NUTS not having one. As for the Terror Dogs, I just bought 2 dimensions sets. Here are some of my pixs. The Disney Castle is probably a more striking stand-alone display. However --- that castle is, I wager, going to be on shelves for years and years. I'd be surprised if it doesn't end up like the Death Star. So if you ever wanted to have both, I would get the Ghostbusters HQ first, because it's way more likely to retire soon. It looks like a fantastic set too. I went for the sandcrawler - interestingly enough for partly the same reason I chose the GBHQ. It's a great self-contained unit that you could also open up and play with. And as easy as it is to always want the thing you don't have, I never regretted choosing the sandcrawler. @CaptainPirateMan - Love the Stay Puft guy above. Where is that from? I considered getting the Playmobile one to go with the Lego GBHQ but it's probably still way too small. Ooo... I can feel the texture of that wood paneling. And I see a Dewalt drill in the background. My guess is 18 volts? @Brainslugged you need to build the LEGO moc stay puffed marshmallows man. I actually have 3, the playmobile one, the "burnt" one and the stay puft bank. I bought the playmobile one first, and you are correct it wasn't big enough for me. It also looked more "cartoony" for my liking. So I gave it to my son. So then I bought the "burnt stay puft, and again he was too small. I liked the look of it though, and he fits on top of the GBHQ rather well. After those two "failed" attempts I searched the internet for one that I would happy with, and that's how I found the Stay Puft bank. Its arms and legs don't move, but it's the perfect size for my display (because I also have a Godzilla and Galactus, so I wanted all 3 of them to be roughly the same size, which they are). 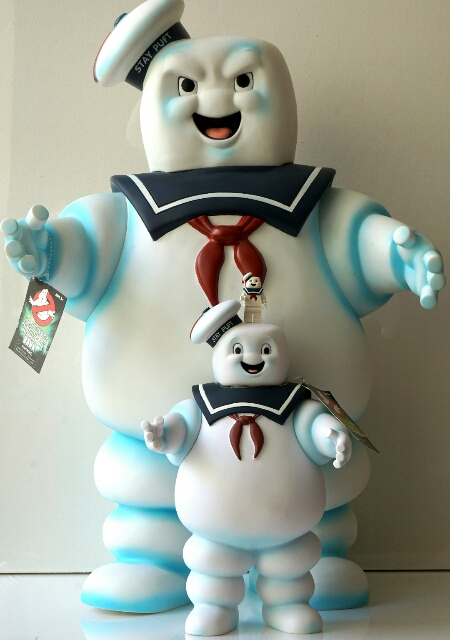 So if you are interested in getting one, get the Stay Puft bank, trust me. It wasn't very expensive when I bought it either. Thanks. I take it you like the paneling, lol. Lol, you can also see my brick link store with Lego being sorted in cups. 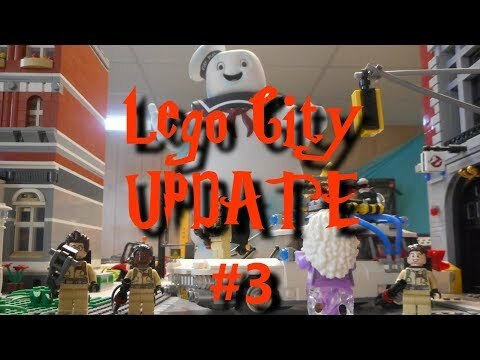 Here is my most recent update video on my Lego City, it had all the stuff I just spoke of in it. I love the custom Vigo, but the whole display is great! The GBHQ is one of my regrets; I just can't justify the price, but it's nice to know it's out there anyway. Thanks. After I had the custom Gozer made (which I modeled her after the one from the Dimensions game), Vigo was the only one I felt I needed to have a complete set. Luckily someone already had made a custom Vigo, so I just had to buy him (as opposed to help create like I did with Gozer). Luckily for me it was his LAST ONE. I'm a completionist, and I don't know if I could have accepted NOT having a Vigo. There isn't any other characters from the original films that I feel are "must haves". So I'm pretty happy with my Lego Ghostbusters collection. Even though my Stay Pufts are not made of Lego, I actually think the ones I picked look better than the Stay Puft MOC that's out there. The MOC isn't bad by any means (and if it became an official set, I would buy it). 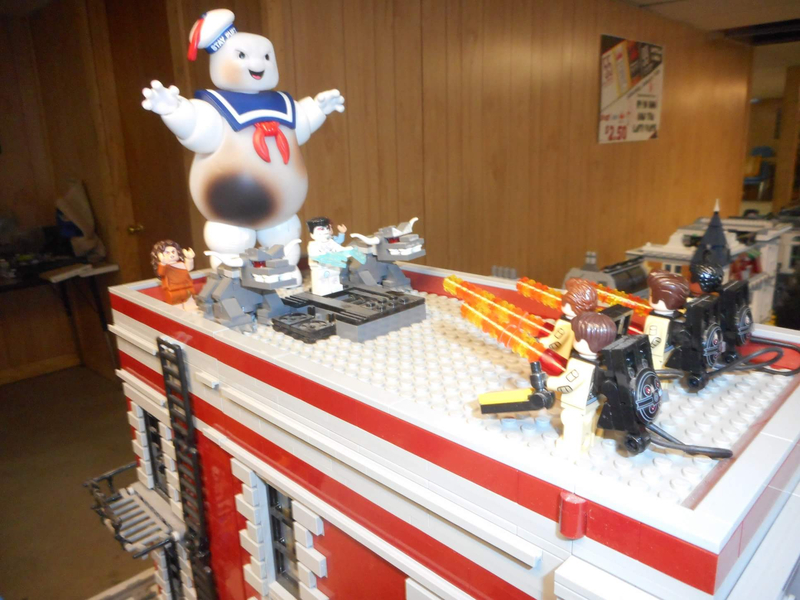 Having said that, I STILL feel the Stay Puft bank is the way to go. While we're at it, I had the small and big Staypufts too. Was thinking of getting the Playmobil version but it looks to be the same size as the small one (or smaller?). That's a BIG Stay Puft!!! 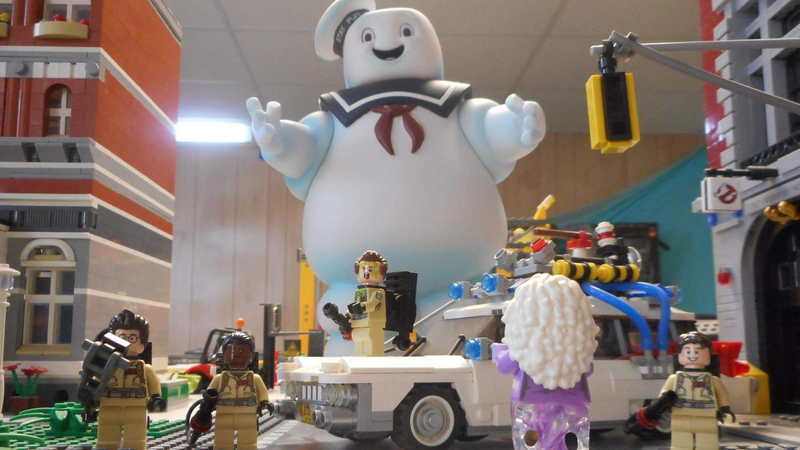 Also correct me if I'm wrong, but the "smaller" one looks like the stay puft bank. The Playmobile Stay Puft is about 2/3 the size of the bank. I thought you had the big one as well in one of the pics? On second look, could be a perspective issue.